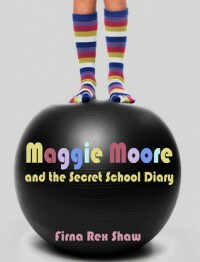 ‘Maggie Moore and the Secret School Diary’ is a hilarious story of a young girl’s adventure through grade school. I found myself laughing out loud more than few times from just how unexpected and crazy some of the things that happen to Maggie are, more often than not including her trumpet. Along with how funny this story was, there were several lessons to learn from, including the positive outcomes from not giving up, trying your best, and the importance of family. I can’t read to wait more from Firna Rex Shaw and what happens in Maggie’s adventures next.